Welcome! Are you new here? Click here for more about us! 8:15 a.m. and 10:35 a.m. The 10:35 service is broadcast live on KVOE (1400) AM radio and live streamed. Click HERE for live streaming. If you would like to be on our email list for our e-newsletter, The Connection, then please let the office know your email address, or click HERE to sign-up yourself. Our location is Handicap Accessible. ‘Stations of the Cross’ walk begins at noon at St. Andrew’s Episcopal Church. Sponsored by Lyon County Ministerial Alliance, this walk will progress along with stops for scripture reading and will end at Grace UMC. 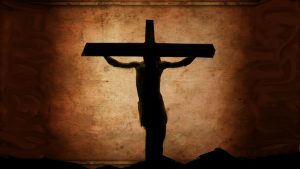 Join us on April 19th for Good Friday Service at First United Methodist Church beginning at 7:00 pm. Pastor Ron Harris will deliver the message. 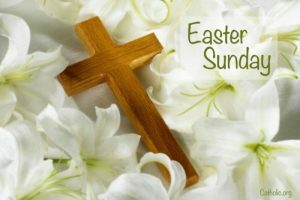 Join us for Easter Sunday Services at 8:15 am and 10:35 am on Sunday, April 21st. All are Welcome! Friends Together United Methodist Preschool is a Christian preschool located inside First United Methodist Church. Children of all faith backgrounds are welcome. Enrollment for fall 2019 is open for all! We have M-W-F classes for 4 & 5-year-olds and T-Th classes for 3 & 4-year-olds. For more information about our preschool, our new Director/Teacher or for an enrollment form, please click HERE!